invited to tender, as they were already working in the POW camp. 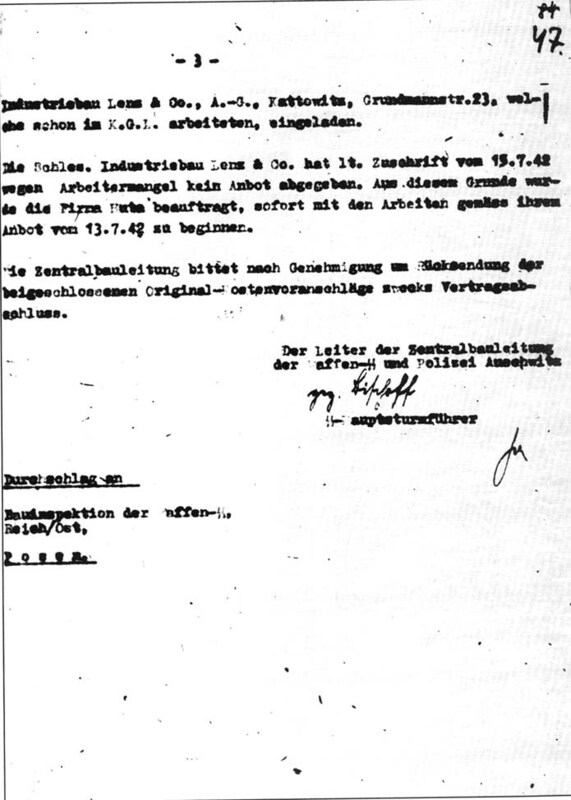 According to their letter of 15/7/42, Messrs Lenz & Co declined to tender because of a shortage of labour. For this reason, Huta was asked to commence work immediately on the basis of their tender of 13/7/42. The Central Construction Management requests your approval and the return of the enclosed original estimates with a view to concluding the contracts.